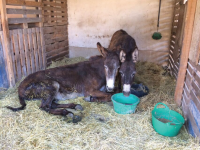 Financial help urgently needed to keep rescue centre open. 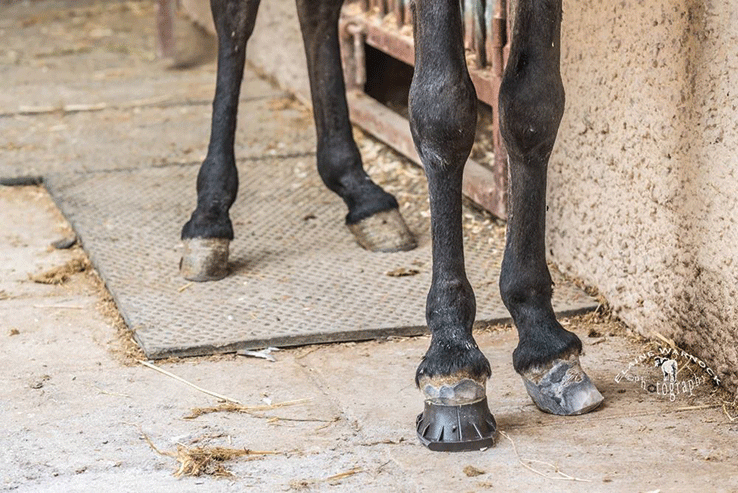 One hundred and twenty equines need your help today. 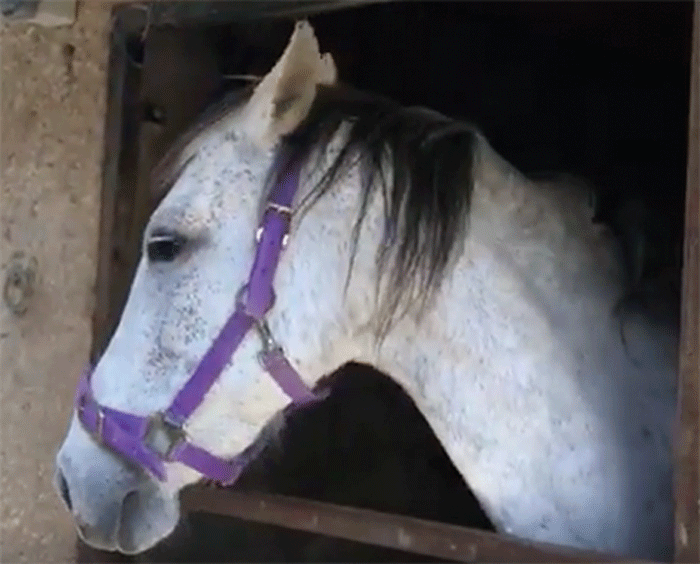 These animals have suffered abuse and neglect for many years, until Sue and Rod Weeding, co-founders of Easy Horse Care Rescue Centre, took them in and gave them a home. Bronson was beaten with a hammer and the blow almost killed him. 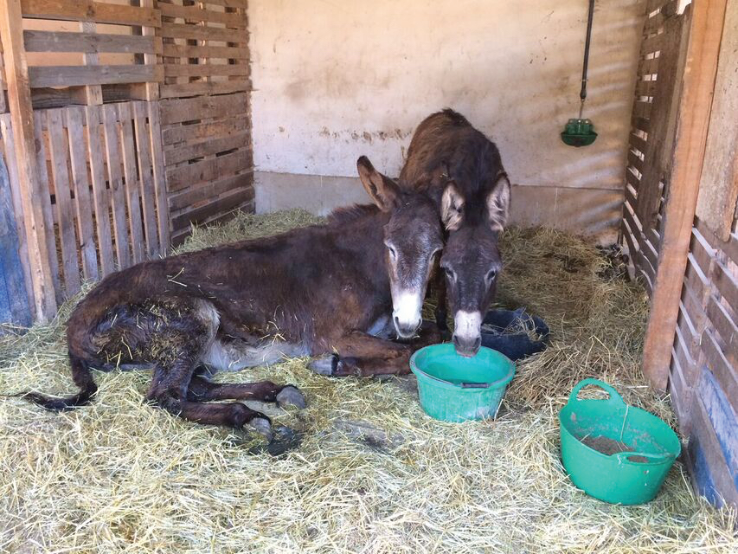 Nine donkeys and 14 starving horses found at Callosa de Segura lived chained to a wall and were scared of humans. Luceiro’s left eye was rotting and the infection spreading. 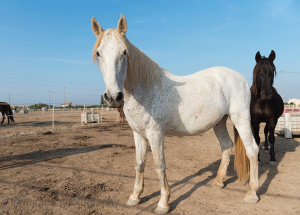 These rescued animals are now thriving at the Rojales rescue centre, on Spain’s Costa Blanca and their stories are of resilience and courage, of hope. Sue and Rod’s efforts have also help to improve animal welfare and rights in Spain, inspiring others to volunteer, donate or simply inform themselves about animal rights. Donations are what the Weedings need right now to keep the centre running. €15,000 to the alfalfa hay supplier, who, despite a lack of payments, continues to bring forage for the rescued animals every week. The centre’s 4×4 vehicle also broke down. Repairing it cost €900. A water leak had to be fixed, costing €5,000. The patriarch of the little Camelot herd, Merlin, passed away recently. His hospital bill of €2,000 needs to be covered. The San Vicente Veterinary Hospital cared for Red, a beloved mini who passed away after being hospitalised for a week and being rushed to surgery in a last attempt to save him. The surgeon did the operation for free, but the hospital had to charge for use of the medical equipment; the first bill was €2,000 and a second bill for his surgery was €1,350. In all, the centre owes more than €26,000. During the Summer, the centre’s six charity shops go really quiet because it gets extremely hot. 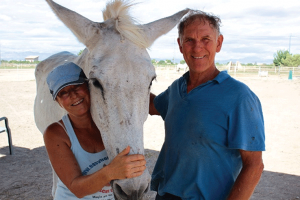 If an equine needs to be rescued today, Sue and Rod will find a way to save it, but they can only continue their work with the generous support of the community – even €5 is enough to feed a rescued horse for a day. 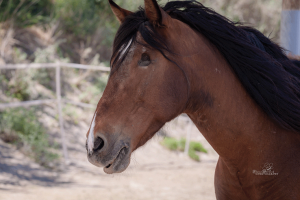 The Easy Horse Care Rescue Centre, located just outside Rojales at Partido Lo Garriga, 59, opens to the public on the first Sunday of every month between 1pm-4pm. A free horse tour with centre co-founder Rod Weeding begins at 2pm and refreshments are available in the café.